7th pay commission: Ministry of Personnel, Public Grievances & Pensions has approved a five-fold increase in one-time incentive given to its employees if they acquire a higher degree while serving in their departments. 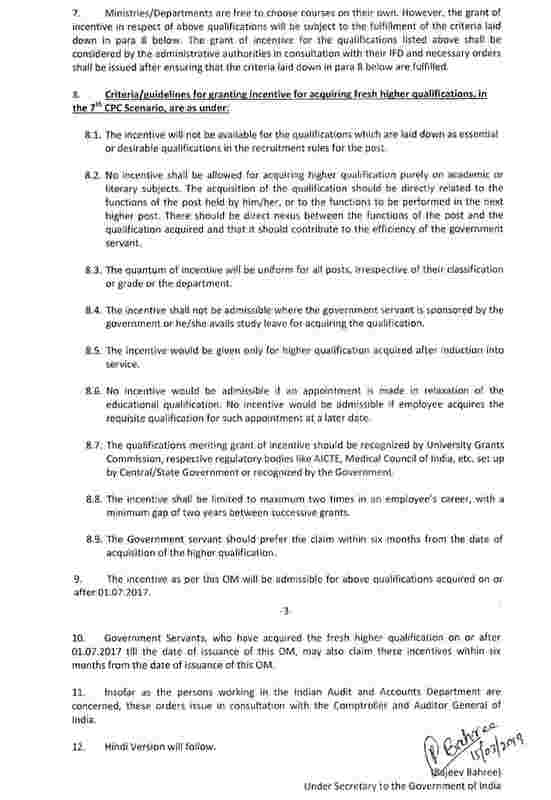 In a notification titles 'Incentive for acquiring fresh higher qualifications, in the 7th CPC Scenario — reg', issued on March 15, the ministry said, "Central Government Servants acquiring fresh higher qualifications after coming into service are granted incentive in the form of one-time lump-sum amount ranging from 2000/- to 10,000/-, as provided in this Department's OM No. 1/2/89-Estt. 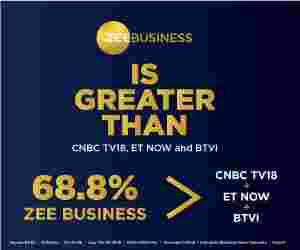 (Pay-l) dated 09.04.1999 and other related OMs." 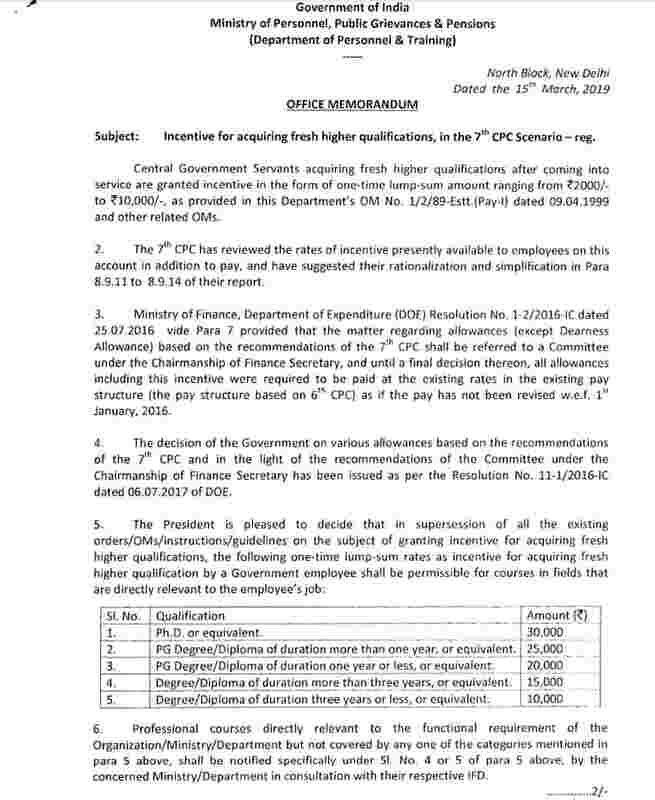 The notification made it clear that the government servants, who have acquired the fresh higher qualification even on or after 01.07.2017, may also claim these incentives within six months from the date of issuance of the notification.